DIRECT Greece lets you see the higlights of this inredible country! You will travel to both Athens and Santorini with a group of awesome young people and get to learn about yourself in the process. In Athens, you will visit the Acropolis and Parthenon and learn about the culture and traditions of ancient Greece. We will also serve for two days with a local community center, so you will get to experience another side of Athens than what most tourists see. 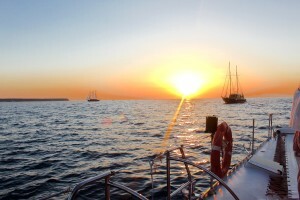 Then, you will hop on a ferry to Santorini and take in the postcard views of this beautiful place. Your time in Santorini is filled with cliff-jumping, riding donkeys, watching sunsets, exploring the town of Fira and hiking around the island. Along the way, the LeadAbroad team will lead engaging workshops about your strengths, vision and values so you will come home with a stronger sense of who you are and where you want to go! 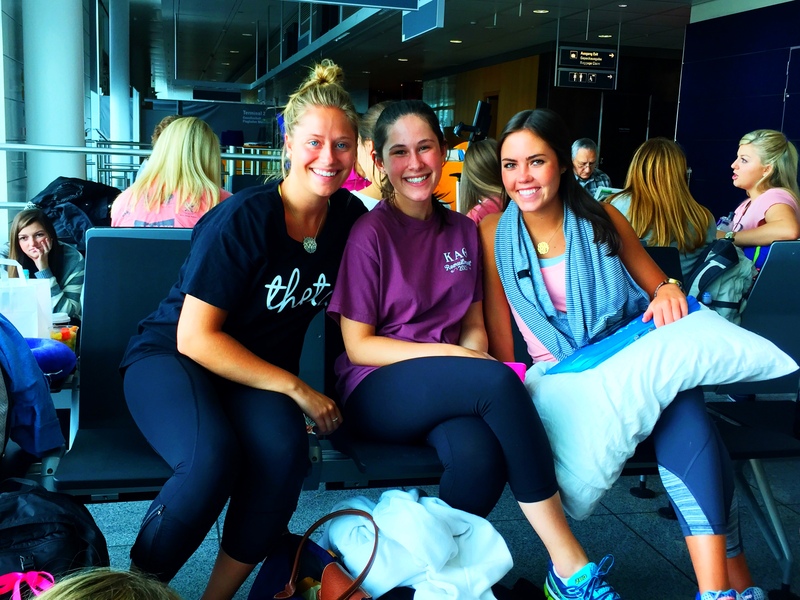 Ready to sign up for an adventure in Greece? Apply here! 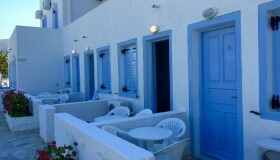 We will take care of all of your accommodations while on DIRECT Greece. 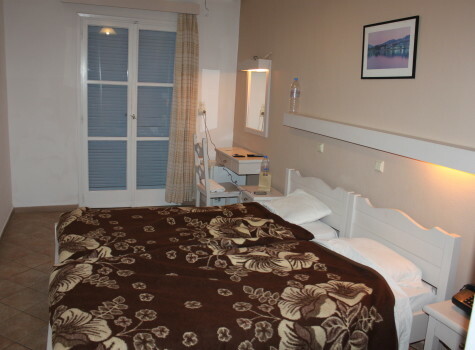 In Athens, you will stay in a cool hostel in the hustle and bustle of downtown. Since you will only have a week in Athens, we want to make it easy for you to explore the city with minimal transportation time. You are right in the heart of the action to shop at the Plaka markets, see a rooftop movie or eat dinner overlooking the Acropolis. 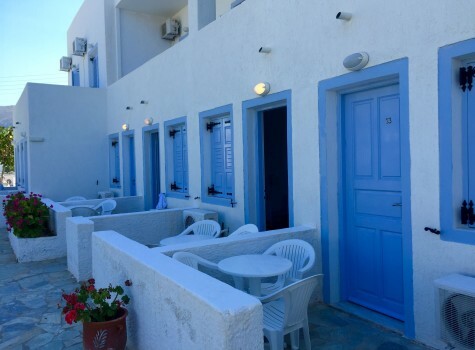 In Santorini, you will stay at a boutique hotel in an ideal location with easy access to restaurants, museums and the beach. 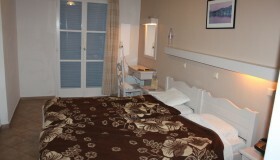 Students will stay in double, triple or quad rooms. Greece is full of adventures! Whether you want to explore the outdoors or get your adrenaline pumping, you can find the adventure that fits the bill. Many adventures are already included in the program itinerary. First, we will visit to the Corinth Canal outside of Athens. This canal to the Aegean sea offers an amazing view and the perfect opportunity to push the limits with bungee jumping (if you choose). 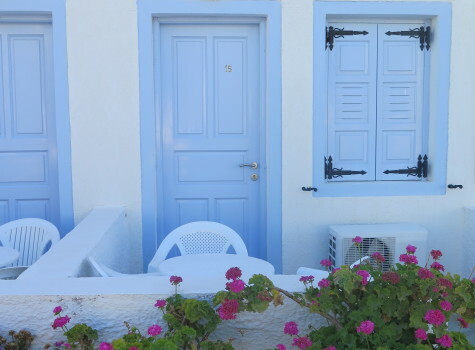 Next, we will head down to Santorini which looks like the postcard you are imagining. 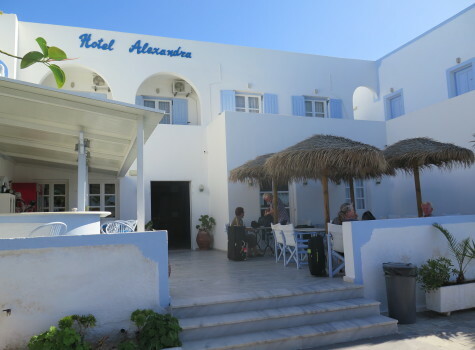 Here we will do a full day boat tour starting with a hike of the Volcano, a donkey ride to watch the sunset at Oia and a delicious meal of fresh seafood. We will also go to the natural hot springs for a swim and take a cultural wine tour and taste the local vines! During DIRECT Greece, you will spend two days serving the local community. Our past service experiences have included painting a children’s playground, organizing donations for the Salvation Army and learning about how to raise awareness to stop human trafficking. Our service days allow you to learn more about real life in Greece and make an impact to improve the country while you are visiting. These days also provide rich conversation as part of our personal development workshop and help you to understand many aspects of life in Athens. You will bond with the community and make a meaningful difference in their lives. In our years of leading transformative experiences, we have discovered the secrets for you to gain the most from your trip. 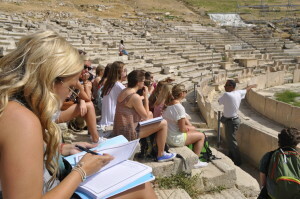 DIRECT Greece combines the best aspects of our lessons into a few, brief workshops. Whether you are discussing your time serving at the Salvation Army, creating your personal vision statement or sharing personal obstacles with the group, the workshop environment allows you to grow personally. 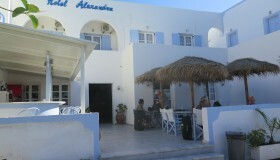 Once you are accepted, we will provide detailed information on how to book your flight to Athens. We will give you a recommended itinerary and meet you at the airport if you arrive on the program arrival day. Our staff will be at the terminal waiting for you with huge posters and even bigger smiles. We will also coordinate your transportation to the apartments if you arrive within the designated group arrival timeframe. The 2019 DIRECT Greece flight guide will be available this fall to help plan your summer adventures in Greece! Your safety is our number one priority on all programs. We execute safety procedures in Greece including assessment, education, security measures, ongoing monitoring and emergency response protocol. The LeadAbroad Policies, Terms & Conditions document outlines these policies in detail. We want every student to remain healthy on the program so they can get the most of their time in Greece. Though we are prepared to handle inevitable health issues, we certainly do not want you to miss out on the adventures and fun. Therefore, we combine pre-departure preparation with on the ground strategies to ensure our students are healthy and happy.